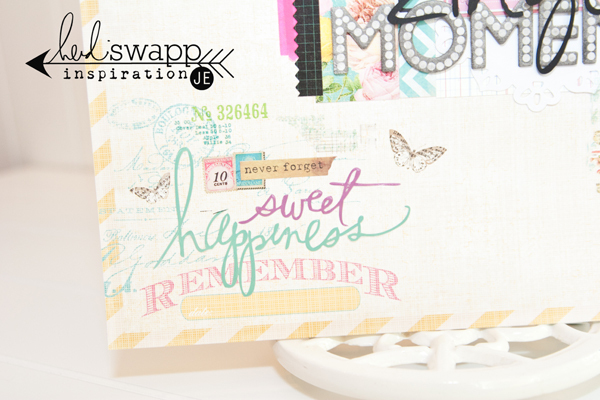 Welcome to our first Heidi Swapp Mash-Up Blog Hop! To start, go check out Heidi's blog today! The definition of a Mash-Up (according to the Urban Dictionary) is, "v. To take elements of two or more pre-existing pieces of music and combine them to make a new song. n. A song comprised of elements of two or more..."
A Heidi Swapp Mash-Up is taking elements from two or more collections and combine them to make something fabulous! 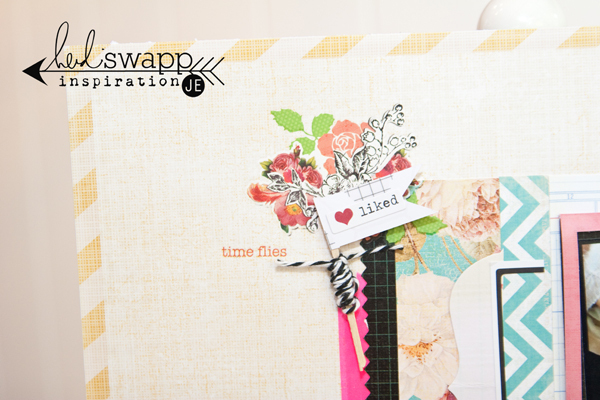 We have asked each media team member to name two Heidi Swapp products and compile a Mash-Up List. Then, each team member took the full list and used that (and more!) to create their first Mash-Up project! For my Mash-Up project I created this "Zinger" layout. Come on, tell me I wasn't the only one disappointed about Hostess closing their doors this month. You see, I just had my first Zinger a couple of months ago. 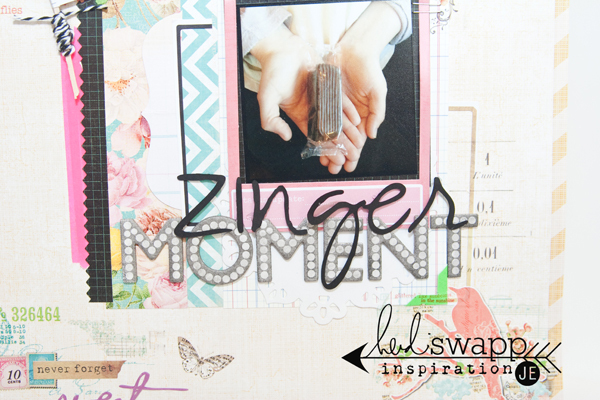 Heidi kept on mentioning in her videos how much she loved Vanilla Zingers and one weekend I saw them at the store and grabbed a box. Now, I was there for "weekend snacks" and bananas for the little man. You wouldn't believe how many laughs there were in line at my Zingers, chips, bean dip, and banana groceries. Even the cashier had to make a crack at me. By the time I got home, I was ready to dive into those bad boys. They were good. My husband, Dave, had his first that weekend and said they tasted like stale Twinkies. Either way, by the end of the weekend I vowed to never buy a box again because I ate the whole thing in two days and gained two pounds! I cut a Banner Delight made from Color Magic Paper into a little flag. Cute?!? Bring on the staples! 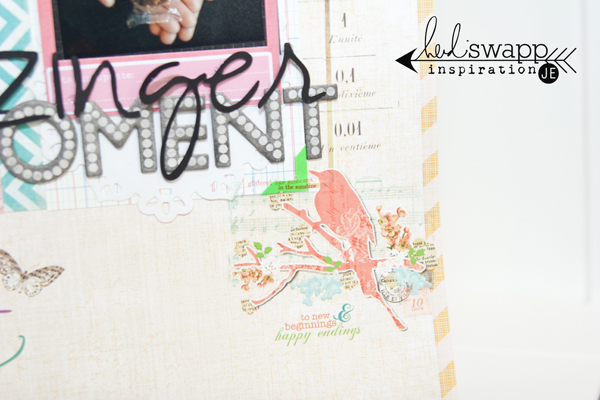 ;) I also added more rubons to the bottom left corner so that the Sentiment Sticker would look like one too! Now, we want to give you a chance to play along!!! Take our Mash-Up list and let it help you create your next project! You can upload your project to Heidi Swapp's Facebook Fan Page with a link to your project online or Instagram it by adding @heidiswapp and the hash tag #HSMashUp ! 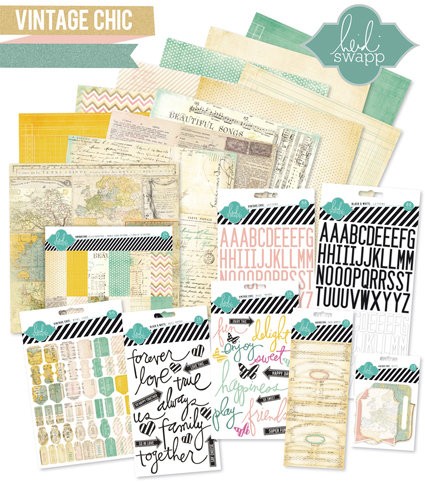 Those that play along will be entered to win this Vintage Chic Collection! One random winner will be picked by Monday, December 3, 2012. Create Well: Now, to see more Mash-Up inspiration from the media team, click over to see Lindsay, Kim, Maggie, and Jamie's blogs! that is such a stinkin' adorable story. 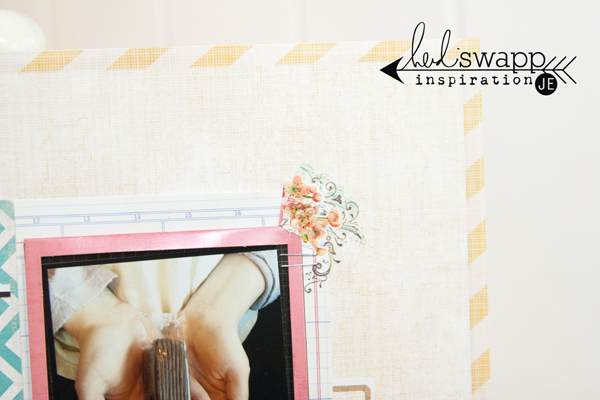 and a stinkin' adorable layout too!!! and hey...looks like we both Tinsel-ed our ChipboardAlphas. this was a lot of fun, jen...thank you for your direction and enthusiasm on it all!!! Lovely project!! I am always inspired!!! Jen you are sooo funny sweet girl.....this is just stunning I am lovin how those colours pop against the white!